The first-ever American Idol, Kelly Clarkson, is a force to be reckoned with. This is the reason why she is currently one of the coaches in the prestigious singing contest The Voice. Billboard called her one of the greatest pop music singers, after getting the top spot in the charts under various musical genres, such as pop, country, adult pop, adult contemporary and dance. She has not stopped there though. Kelly Clarkson also stars in film and TV and even writes children’s books. 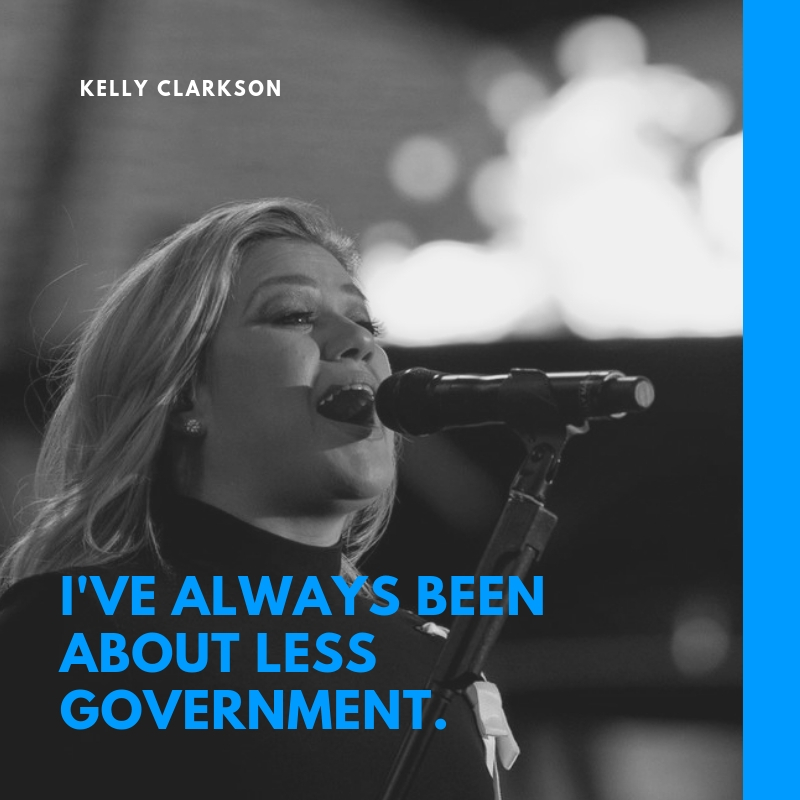 If this woman inspires you, here are some of the most popular Kelly Clarkson quotes and sayings. If I can wake up everyday before I die and know that I don’t have to serve anyone food or drinks, I will be happy! I just had my 30th birthday and we went turkey shooting. It’s what I wanted to do, so we went. I’m always going to live in Texas. Texas is my home – it’ll be my home forever. I’ve always been about less government. I still watch ‘Idol,’ and it’s still the No. 1 show, so obviously I’m not the only one who loves to sit at home and be entertained. I’m actually not a big fan of the word hope. I think it’s a depressing word. I don’t want to hope – I want to know. Like I don’t hope there’s a God, I know there’s a God. I’m so happy now. I love that I’m in a relationship right now… I want a life… The past five years or so I’ve found my groove and my balance. God will never give you anything you can’t handle, so don’t stress. Everyone says I’m like the girl next door… Y’all must have really weird neighbors! I have a big fear of change, or negative change, anyway. I’m basically the same person I was when I won ‘Idol,’ or when I was 10. Are you a fan of the first-ever American Idol Kelly Clarkson? Here are some of her inspirational quotes that might change the way how you look at life.